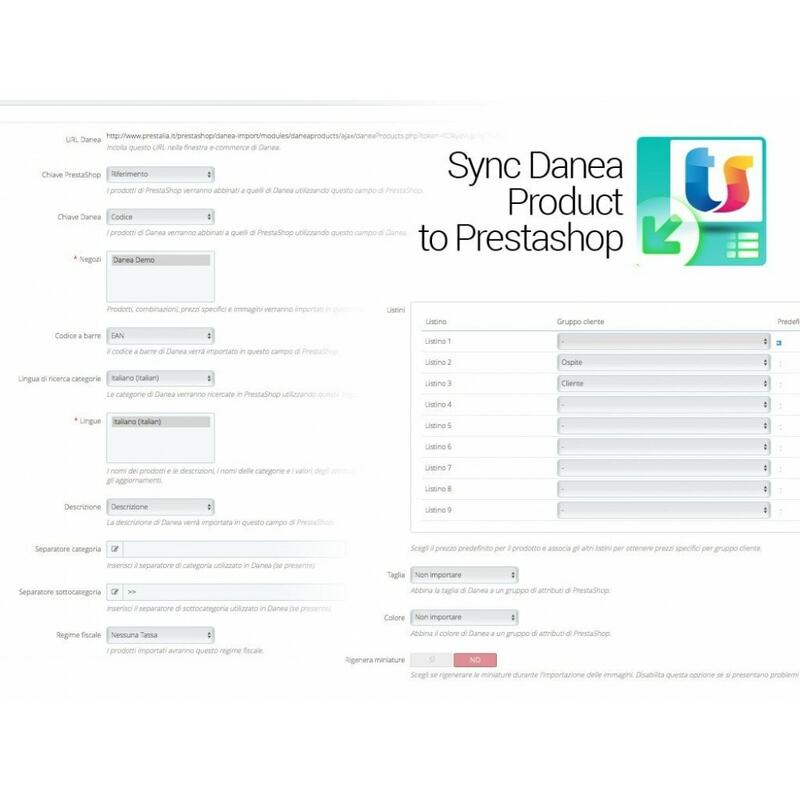 The only module that allows you to import and update the product catalog from Danea Easyfatt to Prestashop and managing every aspect of synchronization without limits. This certified module allows you to export your Prestashop catalog and import it into Danea Easyfatt easily and fast. To get an allround we have available modules "Prestalia export products to Prestashop Danea" and "Prestalia export orders and customers Danea". With these tools you will be able to better manage your e-commerce infrastructure.